Honeywell International Inc. (NYSE: HON) announced on Friday it is relocated its global corporate headquarters to Charlotte, North Carolina, which is closer to several of the Company’s businesses in the Southeast of the United States. The U.S. industrial conglomerate is moving from Morris Plans, New Jersey, three years after the Company accepted tax credits, potentially worth as much as USD 40 Million to stay in the Garden State. Honeywell says it plans to bring about 500 jobs to its new headquarters over the next five years, boosting its total number of Charlotte-based employees to about 750. 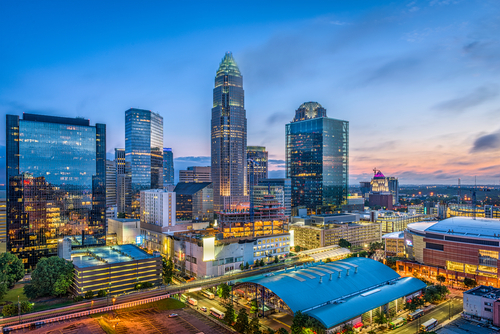 About 150 to 200 New Jersey-based senior management jobs will be moving to Charlotte between now and September 2019, assuming that the Company goes through with the decision. The move is contingent on the recently passed North Carolina Job Development Investment Grant legislation formally becoming law and the state and local incentives awarded to Honeywell. Honeywell will also be moving the headquarters for its Safety and Productivity Solutions division from South Carolina to Charlotte. About 100 positions will relocate to the new headquarters, it said. Nearly 1,000 Honeywell employees will remain in New Jersey across six different locations. That number includes about 800 employees at the Company’s current Morris Plains headquarters. Honeywell spokeswoman Victoria Streitfeld said in a statement that the Company qualifies for state incentives each year based on how many New Jersey-based employees it retains, as part of a GROWNJ agreement.